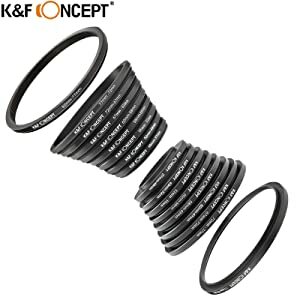 Buy K&F Concept 18 in 1 lens filter step ring set 9pcs step up ring & 9pcs step down ring online, worldwide free shipping and 30 days return guarantee. 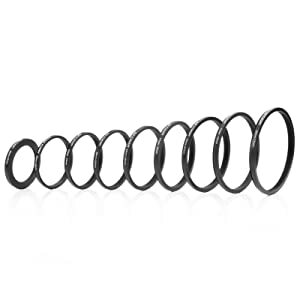 • Great tightness,no wobbling or cross-threading. Ultra-low chemical residues, attached to a solid! 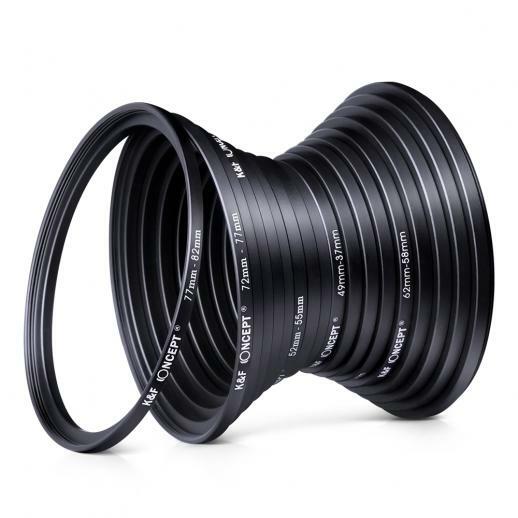 • Converts the thread size of your lens to the thread size of any other accessory (such as filters, hoods, flashes and lens converters). 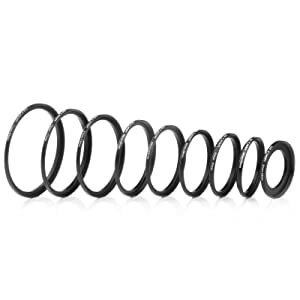 • Special aviation aluminum alloy, high strength, impact resistance, twist and pressure. • Surface treatment: high-mesh sand blasting machine and color quality pure matte black or silver. • Ultra-low chemical residues, attached to a solid! • Font Handling: Font clear mission, silk screening of non-mimeo, attached to a solid! or step down filter for just about any need. 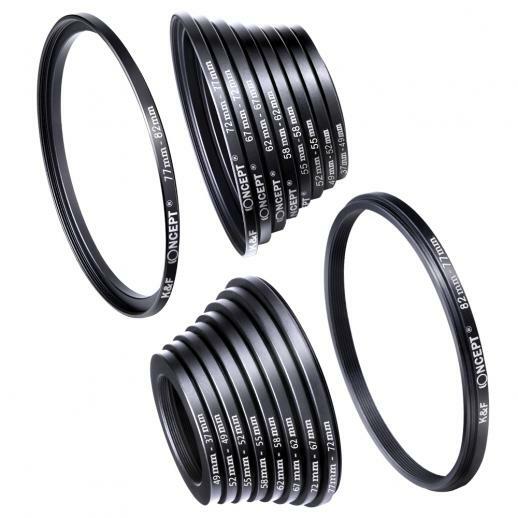 • Step up rings provide a way to fit a larger diameter filter or accessory onto a smaller lens. 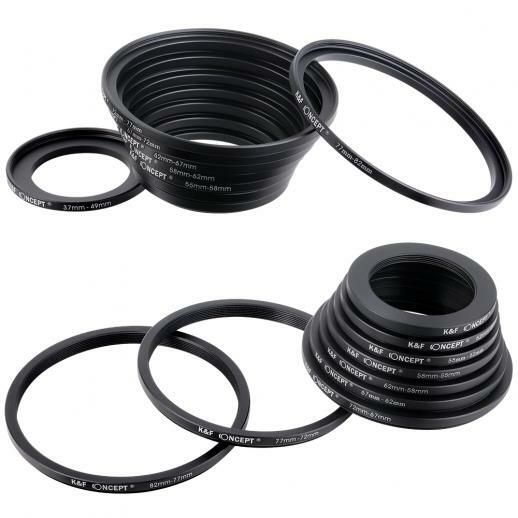 you can then attach other elements included more step up rings. 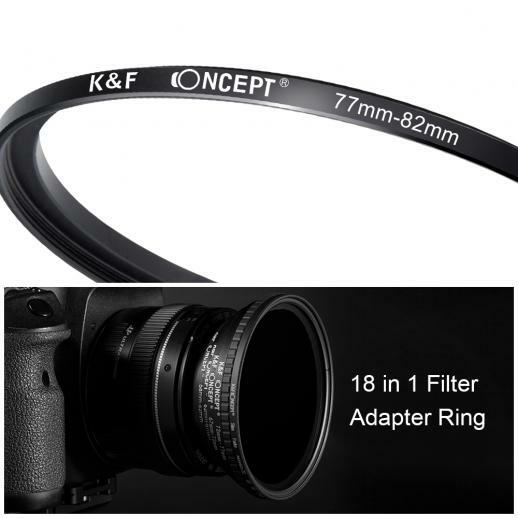 smaller accessories and filters to larger lenses. 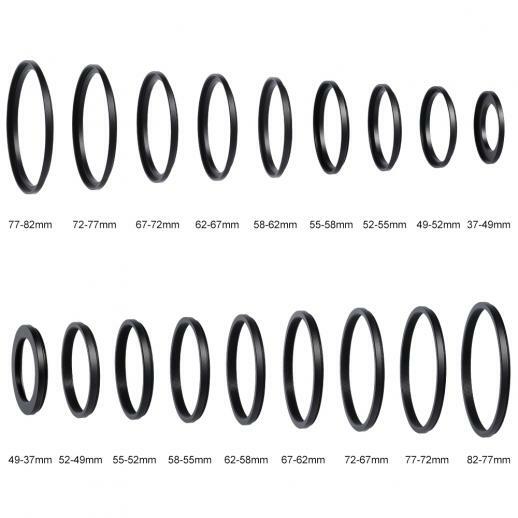 ring that you can find as these will keep the filter close to the lens. 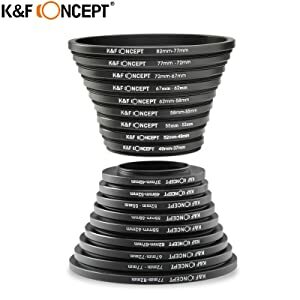 the ability to step up or down you filters is a huge money saver and for that purpose these don't disappoint.They're sturdy & well made, work perfectly and essentially do their job as advertised. My only critcism is in the packaging which being just a plastic sleeve, is a little underwhelming. But to be fair, these are very simple and cheap accessories. All in all very happy with my purchase as I'm sure you will be if you pick these up.